I often hear from clients “I want a nice looking website”, especially from clients who are very visual. However, when I speak to them I realise that not many of those small business owners necessarily know what makes a good website and how to plan a small business website. consider your business goals and your clients needs. Good and memorable design is a crucial factor to create a competitive advantage, but design should come in the final stage of a web design. Before you sit down to play with fonts, colours and images make sure you plan your whole website in terms of the content and flow. Simultaneously, a process of planning a new website or a website redesign is a great opportunity to reconsider how your business is run and to look for ways to take it up a notch. Many of my web design projects have resulted in changes to businesses that commissioned me. While you are pondering what your new website could look like, take a look at what you offer and how you present it to your clients. Is there anything that you could improve or change? Can you add a new marketing stream? Go ahead. It’s the right time to do it. the first point of contact with your future client, it is vital to spend a good amount of time to plan it and to plan it well. 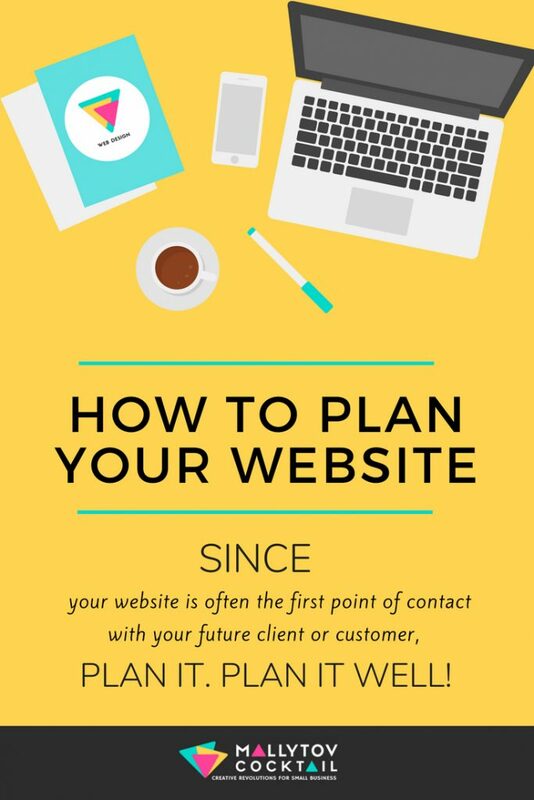 Your business structure and how your website can make you more efficient. The visitor experience. Make sure they find content they are looking for. Siteflow. Make your website intuitive to use and easy to navigate. Design. Create a visually pleasing experience and memorable design. In this blog post, I will focus on the first two areas. Having a nice looking website is not enough. Whether you are building a website yourself or getting a web designer like me to do it for you – think of your website as a business tool and as such, make sure that the website works for you and your business. And make it work hard. After all, building a website requires a considerable investment of time and money so make sure you get a return on that investment and make your website help you grow your business. Plan your website with a specific objectives in mind. Your objectives will depend on the nature and size of your business and will ultimately inform later design and content decisions. Collect email addresses and build a mailing list. Educate visitors on the benefits of your product or service. Encourage people to buy from you. Build a community and encourage discussions. Get more enquiries for product demo or discovery sessions. What part of your day to day business activities can you automate and place on the website? What can you automate and let your website do for you? None of us exists in a vacuum and every business will sooner or later have competition. Check companies that offer what you do. How do they phrase it? How do they present it? What do they do to keep the viewers on their site? Analyse their websites and make a list of what you like about them and what you don’t like. Is there anything that your competitors don’t do, which could become your advantage? Make sure you are aware of their branding so you don’t accidently end up looking or sounding similar. If you are not sure who your competitors are , think for a moment like your potential client. If you would like to buy what you offer, where would you start looking for such providers? WHAT MAKES YOUR OFFER DESIRABLE? With so much choice at hand, many visitors will compare several service providers/product makers to make sure they get the best deal or work with people they connect most to. Therefore, it’s worth spending some time and thinking about what makes your offer different and how to put that across to your potential client. Once you have the answer, consider what the best way of highlighting may be it so it encourages the visitor to come back to you once they’ve checked your competition. The quality of your service or product. The uniqueness of your offer (in a specific location or within a specific niche). Your unique approach or method. In the meantime, if you have any questions regarding website design, branding or video marketing, let me know and I will try to answer it in one of the upcoming blog posts. Need help with your Website or Branding?